TESTING: Thomas Neumann is president and CEO of Nortis Inc.
Biotech isn’t simply about discovering new treatments and medicines. It’s also about producing the tools that enable those discoveries. Nortis makes what it calls a “microfluidic organ on a chip” — microscopic platforms to enable the growth of human tissue for drug-development testing. 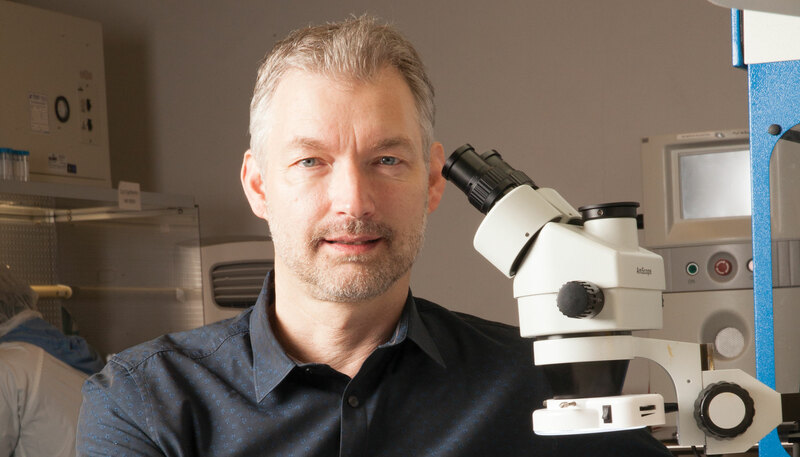 Nortis’ system offers an easy-to-use alternative to animal testing; the company believes its technology, developed by former University of Washington faculty members, will reduce barriers to finding drugs and vaccines to tackle cancer, diabetes, Alzheimer’s, infectious diseases, cardiovascular disease and stroke. From the launch of its first commercial product in 2015, annual revenue has accelerated to $829,000 in 2017. Nortis can produce 800 of its chips in a month. What’s ahead: more fundraising, more chip models and increased production capacity. The company’s ambitions include building its presence in the Tier 1 aerospace and spaceflight markets, and moving into five-axis machining to be able to handle even more complex assignments.